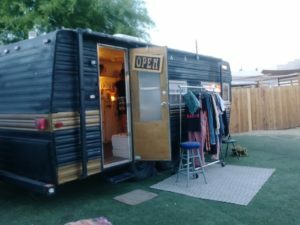 Traveling Kicks, is now Downtown Las Vegas! Yes that’s right, it is official! Now going into this, do note that this is slightly different, but still same coolness! We were welcomed to do live taping every other Tuesday at Burnt Boutique behind Bunkhouse Saloon; Thanks to the coolest ladies Nicole and Reina. This is definitely a dope opportunity, and we want to thank those ladies for welcoming us to their boutique to do our show. 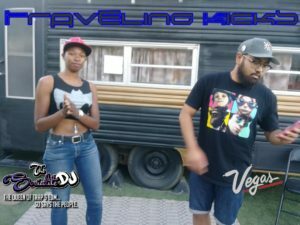 On this episode we were welcomed by Founder of Vegas Sneakerheads Krys Fabriquier. Vegas Sneakerheads has been out since 2011 and has since generated a Facebook page that is 21,000 people strong. If not the largest one of the largest sneaker groups to emerge out of Sin City. It was definitely a great time getting to talk with Krys, and having him on the show. It’s always good when you can have a conversation with someone that relates to the topics as well, and that’s what we are going to give you guys! Check out our interview as we discuss, Goals, Fashion, and of course Sneakers!